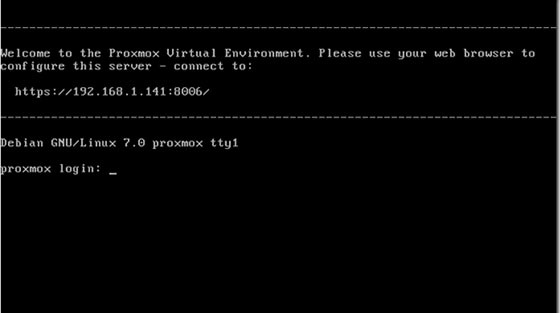 In this tutorial we will show you how to install and configuration of Proxmox VE on your Linux server. 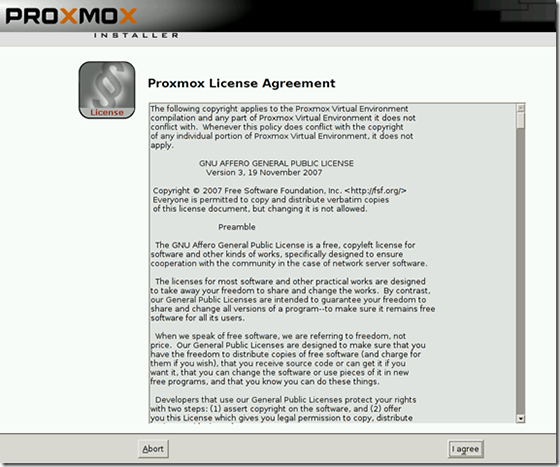 For those of you who didn’t know, Proxmox VE is a complete open source server virtualization management software. It is based on KVM virtualization and container-based virtualization and manages KVM virtual machines, Linux containers (LXC), storage, virtualized networks, and HA clusters. The enterprise-class features and the intuitive web interface are designed to help you increase the use of your existing resources and reduce hardware cost and administrating time – in business as well as home use. You can easily virtualize even the most demanding Linux and Windows application workloads. This article assumes you have at least basic knowledge of linux, know how to use the shell, and most importantly, you host your site on your own VPS. The installation is quite simple and assumes you are running in the root account, if not you may need to add ‘sudo’ to the commands to get root privileges. 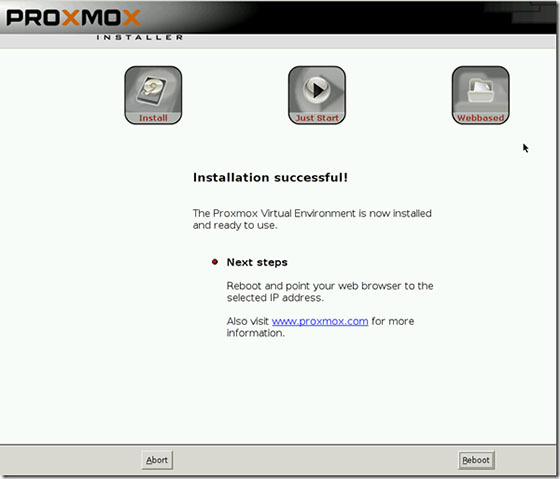 I will show you through the step by step installation Proxmox Virtual Environment on a Linux server. Step 1. First download the iso image from the official website. Once the download is finished follow each step of this guide in order to get a successful installation on your server or computer. Step 2. Boot the ISO image using USD or DVD disc and select install proxmox VE. Step 3. In the end user license agreement,click Agree to proceed next step. Step 4. 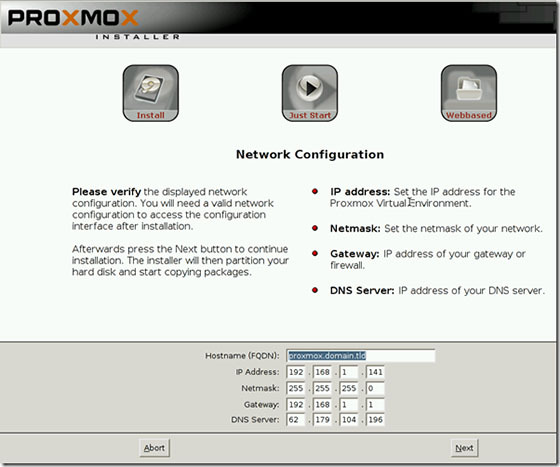 Select the target disk to install Proxmox and giveNext. Step 5. Select your Country, time zone, and keyboard layout, and then press Next. Step 6. In this page you must insert the password for the default root account and then confirm the password, also insert your email address, then press Next. Step 7. In the network configuration, Enter the FQDN for the host and give the IP address, gateway, DNS and finally click Next. Step 8. We have successfully installed Proxmox, now reboot the system. Step 9. After rebooting the system, the following window appears. Step 10. 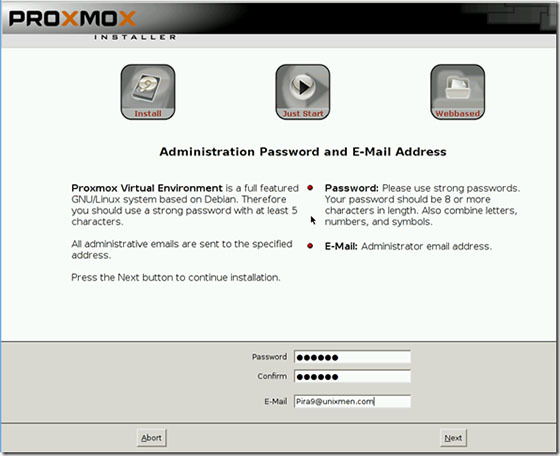 Accessing Proxmox Virtual Environment. Proxmox Virtual Environment will be available on HTTP port 8006 by default. Open your favorite browser and navigate to https://yourdomain.com:8006 or https://server-ip:8006. Insert root for Username, and the password you have set at the installation before. Then press Login. Now you can start create Vm or create CT.
Congratulation’s! You have successfully installed Proxmox VE. 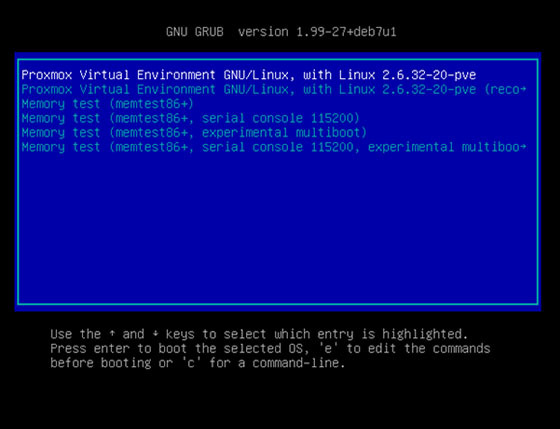 Thanks for using this tutorial for installing Proxmox Virtual Environment on your Linux system. For additional help or useful information, we recommend you to check the official Proxmox web site. 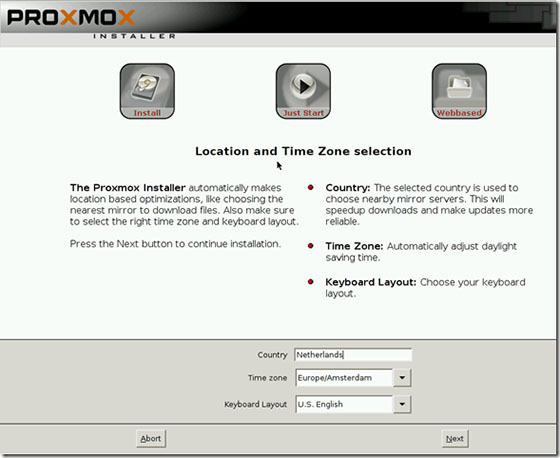 Related Posts of "How To Install Proxmox VE on Linux"